Spencer delivers an exceptional lesson experience and ranks in the top 15% of our teachers nationwide. I am a freelance drummer based in Baytown, TX. I have always had a passion for music and have really enjoyed expressing myself though drums over the years and would love the opportunity to teach you how to do the same. I am very clear and easy to work with as a teacher. I strongly believe in hands-on learning and am very patient with my students and work at the pace that is best for each specific student. I started playing drums at the age of 11 and at that time I was in the percussion class at my school and learned all about technique and how to read music and I continued in percussion through out Junior high and high school. Then the following year, at the age of 12 I began receiving lessons for drum set. I have now been playing live at least once a week for the past 10 years and have been teaching drums off and on for the past 5 years. 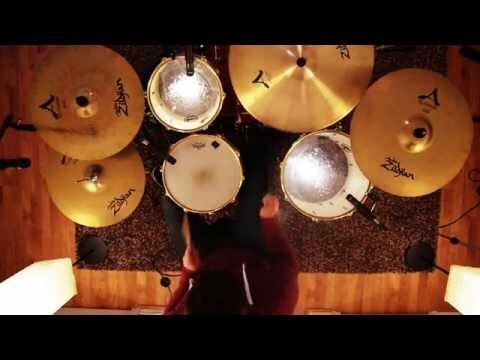 Here is a video of me doing a drum cover. The room that it was filmed in will be where all lessons will take place. A Picture of the studio! All lessons are given in this room, on this drum set. This was my 8 year old sons first lesson and he loved it! He was counting the beats in the songs playing on the car ride home. I am very excited to have a young, enthusiastic, experienced instructor so close to home. In addition, the set up for the lessons was comfortable and well appointed. I think this will be a great fit for my son where he will learn but also have fun! Hayden has a great time with Spencer, he is learning a lot and having a good time. Spencer has great patience and is a good motivator. Hayden has learned to read music and we are only on our 3rd lesson. My 10 year old really enjoys his drum lessons, and learning with Spencer. He's excited to go every week, and has impressed us at home with his new skills. Spencer is professional, and can easily relate to kids. My son and him have a good time together, laughing and learning. He makes it fun, very patient, and is a highly experienced drummer!! !